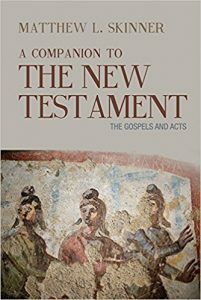 Summary: Neither Jesus’ own kin nor the premier theological interpreters of his day could discern the truth about him and his authority to inaugurate the reign of God. Their confusion and skepticism cause them to fall back on labels—“demonic” and “insane”—that betray a lack of imagination and openness. Jesus responds by describing his work as overcoming humanity’s captivity to evil and as forging new familial relationships and identity. He thus declares his intention to bring about wholesale change.